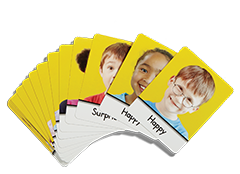 Help children identify emotions with Second Step Early Learning Feelings Cards! 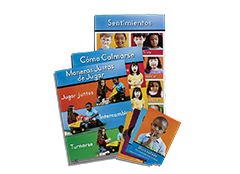 Twenty full-color photo cards featuring ten feelings come in a durable plastic pouch for easy storage. 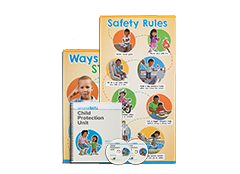 Each Second Step Early Learning kit includes one set of twenty full-color photo cards that can also be purchased separately. 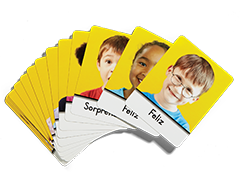 Each set contains ten feelings, each shown by both a boy and girl, that help children learn to identify emotions and are an integral part of many of the Weekly Themes and activities.